Acrobatic Gymnastics officially joined the FIG in 1999. Practiced by men and women alike, dynamic Sports Acrobatics are among the oldest known disciplines. The sport was practiced as early as the ancient Egyptian period, as we can see in certain frescoes. Its name comes from the Greek acrobateo, meaning to rise or go forth. The discipline requires courage and stamina, while demanding flexibility and skill. Exercises are accompanied by music, harmoniously in keeping with gymnasts’ choreography, body movements and musical culture. 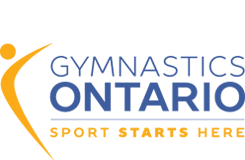 Acrobatic Gymnastics (ACRO) favours body control in various positions, both on the ground and in the air. For this reason, the sport is welcomed and very often included in the training programme of pilots, cosmonauts and parachutists. Acrobatics is practiced as Men’s, Women’s or Mixed Pairs, as Women’s Groups (3 gymnasts) or as Men’s Groups (4 gymnasts). Time allowed for each exercise is 2:30. The floor area measures 12 x 12 meters. The exercises must include a harmonious combination of choreography, collective acrobatic elements (holds, throws, catches) and individual acrobatic elements (floor acrobatic series), all in perfect synchronization.